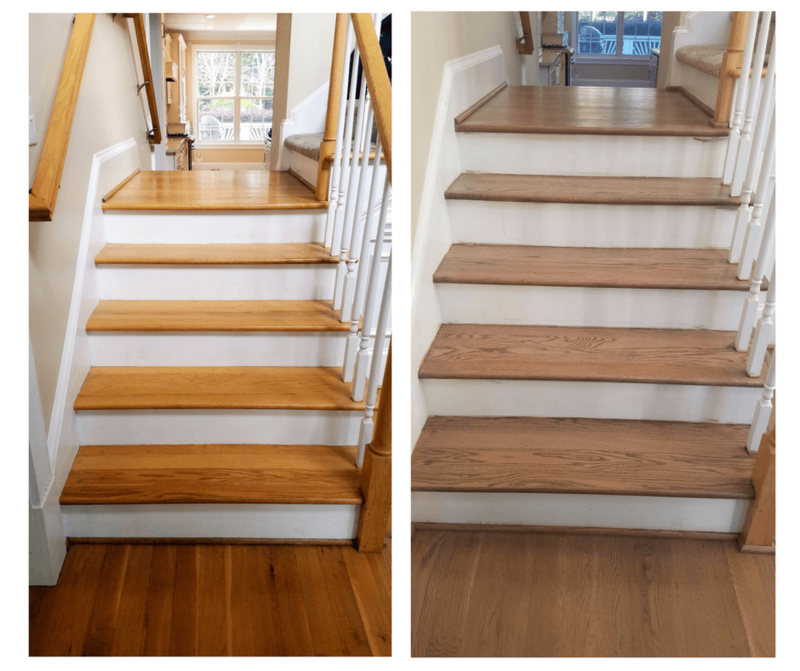 The Stoya’s started their remodeling project back in September and asked us to refinish their wood floors once their kitchen was complete. 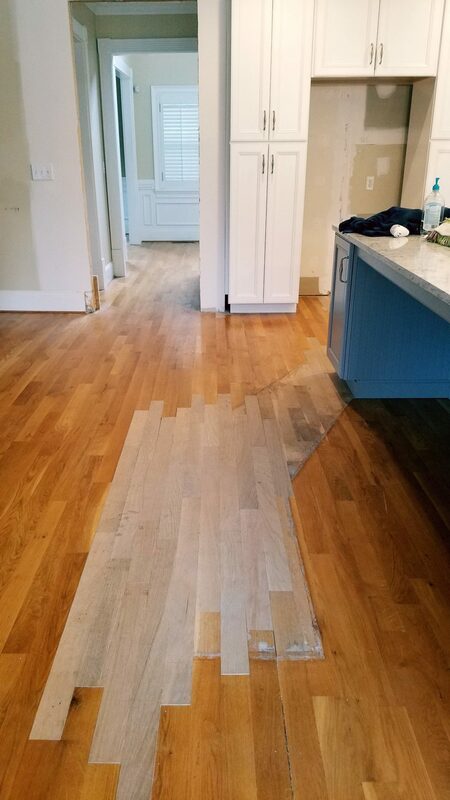 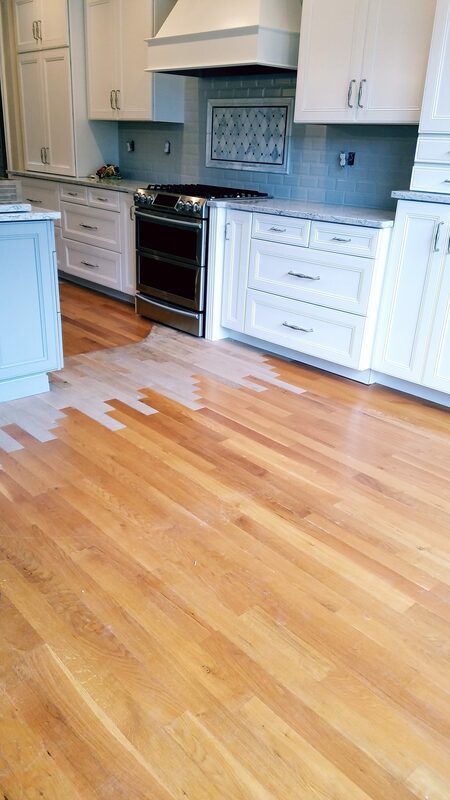 Before we could start, we had to install new wood throughout their kitchen from where their wall was ripped out. 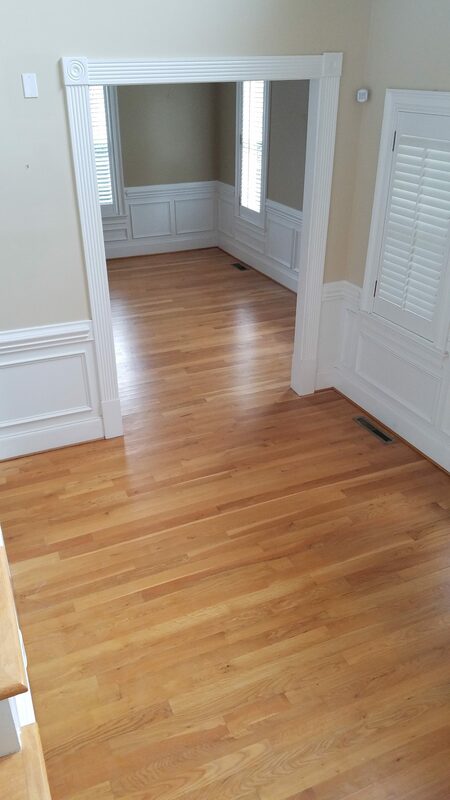 Once their cabinets were put in, they were ready for us to refinish their floors! 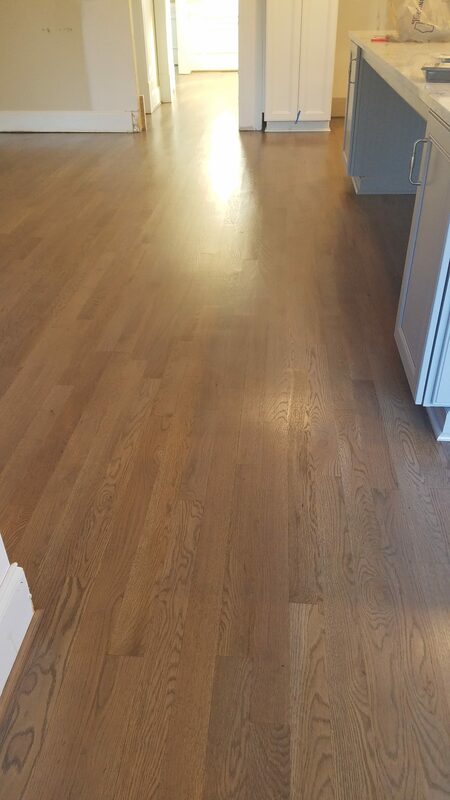 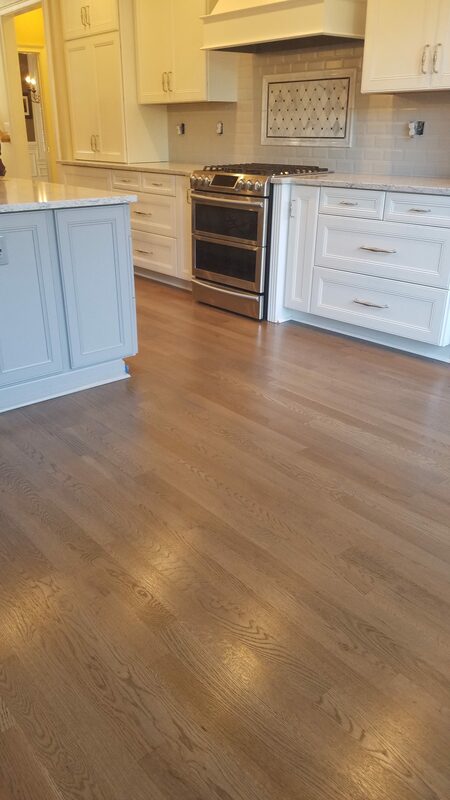 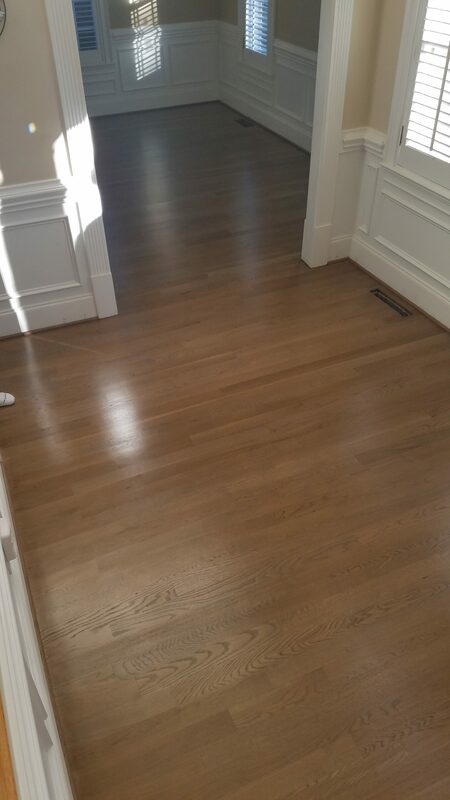 Mark and Maureen went from a natural look to having beautiful custom stained floors that have hints of grey in them.